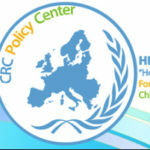 Dimitris Gkountouvas is working at the “Homes of Hope” of “Hope For Children” one of CRC Policy Center programs since February 2018 as an officer in the Department of Child Development. He studied Mathematics at the University of Ioannina and at the Computer Science and Engineering Department of the European University of Cyprus. 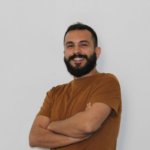 Besides his work as a social worker in the Child Development Department, in the context of the right for education for all children, Demetris offers math and Greek language lessons to the children, assisting with school lessons. Demetris is also providing exams preparation classes to the children related to scholarship programs in private schools in Cyprus and other examinations and international certifications.